Make sure you have your broomstick ready to deliver this gift! The Witch’s Brew Halloween Gift has a hand iced cookie, snack mix, and hot chocolate mix that’s ready to enjoy before you go haunting. These unique gift baskets are decorated and ready to go to your recipient. 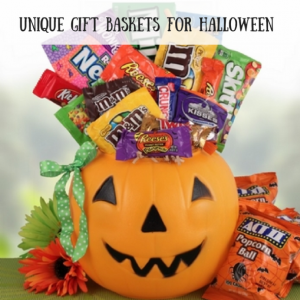 If you need to say thank you this Halloween, this gift basket is perfect. Is someone going to miss out on the trick-or-treating festivities this Halloween? Then send them this Trick or Treat Pumpkin so they’ll at least have some candy to enjoy. These unique gift baskets are packed with a variety of chocolate and gummy candy. It also comes in a pumpkin container that’s perfect for keeping your candy haul. 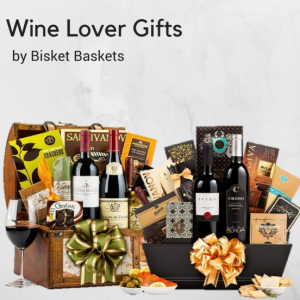 If your recipient loves snacking on chips while eating candy, these unique gift baskets are the best. The Halloween Candy Gift has a great selection of candy classics while including a bag of chips and a cool, hand iced cookie. All wrapped up in a festive box, this gift makes a great Halloween care package to send to your college student. If you’re ready for Halloween like we are, head over to our Halloween section and pick out a few unique gift baskets to share this year. From candy gifts, fun cookies, and even pet gift baskets you can find a spooky treat to a loved one. Shop now and get ready for all of the Halloween festivities!